Now, I’m starting to wonder if I will ever get out of writing about “MILK” of any shape and form. By now, you’re probably wondering if I’m obsessed with milk. The fact is that I have never really liked milk or needed it. For breakfast I eat steel cut oats with a banana and some walnuts sprinkled on top…There’s no milk! For breakfast, I start my day with a cup of tea! Ok, lets get to why I’m writing about “milk” again and this time about Soy Milk! 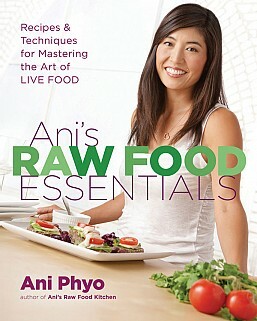 Today I received my lovely copy of Ani’s Raw Food Essentials. Check it out! I had heard really good things about this book. Well, of course, the Universe would have it that I read her “Soy Story” (p. 169). Ani talks about the difference between soy in Asia vs. soy in America, which is processed and not fermented. She quotes Dr. Kaayla Daniel, the author of The Whole Soy Story. He says, “Today’s high-tech processing methods not only fail to remove the anti-nutrients and toxins that are naturally present in soybeans but leave toxic and carcinogenic residues created by the high temperatures, high pressure, alkali and acid baths and petroleum solvents.” Oh, that sounds really appetizing! NOT! Ani goes on to say that Westerners eat ten to twenty times more unfermented, highly processed soy than is eaten in Asia. She writes, “Ironically, this unfermented soy contains enzyme inhibitors, which block protein absorption. What’s even scarier is that almost 90 percent of American soy is genetically modified, and the soy crop grown in the USA contains the highest levels of poisonous pesticide contaminants.” She goes on to list a slew of ailments, from common food allergens to a weakened immune system. 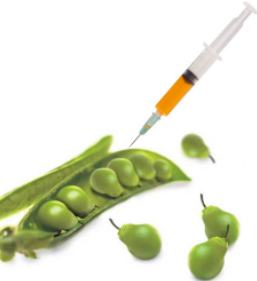 The next irony Dr. Mercola points out, “Dow Chemical and DuPont, the same corporations that brought misery and death to millions around the world through Agent Orange, are now the driving forces behind the promotion of soy as a food for humans. They are financing anti-meat and anti-milk campaigns aimed largely at those concerned about animal welfare and the environment, trying to convince them that imitations such as ‘soymilk’ are not only healthier than the real thing, but better for the earth too.” What can I say? I’m shocked! Like I have said before, these large corporations don’t care if you or I get sick…They do care about the Almighty Dollar! Further, “There’s no evidence that consuming soy products can improve health, reduce environmental degradation or slow global warming. In fact, the evidence suggests quite the opposite.” Again, the majority of soy produced in the United States of America are highly processed and are not good for you nor for the environment. It needs to be natural, raw & whole. Learn more from Ani’s wonderful book about the benefits of eating more unprocessed whole foods – the ones the FDA call “superfoods”, which have been proven to increase our overall health & vitality. Now, here’s something I can buy into and live with! PS. I hope this will be one of my last “milk” posts! I enjoyed your post. Just a note Dow Chemical and Monsanto were partners in creating Agent Orange (originally produced by these two companies in 1961) and thanks to the American Government both companies have now been allowed to GMO crops with 1/2 the chemical makeup of this deadly poison. Guaranteed food products that will be the first crops with this deadly modification will be Corn and Soy. Approval was given despite protests and petitions in July of this year.